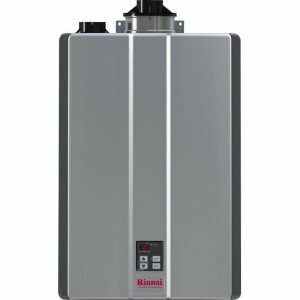 Takagi tankless T-K4 and T-K4U water heater review and a buying guide. Explore energy efficient and environment-friendly T-K4 models - powered by natural gas and liquid propane. High water flow makes it great for high demanding homes. Flexible venting makes indoor and outdoor installation easy. 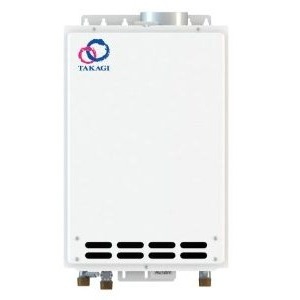 Takagi tankless T-K4 and T-K4U models are compact, wall-mounted and whole-house water heaters that are designed to provide hot water on-demand and in an endless supply with the consistent temperature, with less fluctuation. 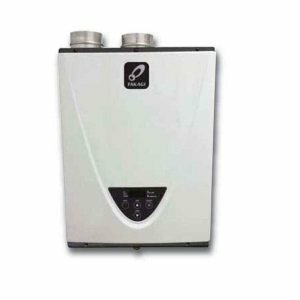 Takagi T-K4/U tankless are used for heating potable water and space heating in residential and commercial applications efficiently and reliably for a long time (much longer than tank-type). These are recommended for homes with up to three baths in warmer regions and up to two showers in colder areas. Takagi T-K4 heaters are designed as the standard models with the low low-NOX: T-K4-IN-N and T-K4-OS-N, and ultra-low NOx models: T-K4-IN-N and T-K4U/OS-N, built for indoor, outdoor and direct venting. Note: The above models are natural gas models, for propane models add P to the end of the model number. For example, Takagi T-K4-DV-N is a natural gas model, Takagi T-K4-DV-P is a propane model. Takagi tankless T-K4 and T-K4U water heaters are built with many advanced features for convenient, safe and reliable usage. This includes the sensors, such as the Air-Fuel Ratio (AFR), thermistors and the microprocessor. This is what initiates the proper ignition, what monitors the heating operation, controls the parameters, modulates the gas and water flow, all to ensure the accurate temperature and factory (user) set performance and efficiency. The built-in computer chip also protects the unit by shutting it down if something goes wrong; high temperature, improper gas combustion, clogged vent or insufficient air intake, and it also helps in minimizing the gas emission while maximizing the energy efficiency. Both indoor and outdoor models T-K4 and T-K4U come with the full modulation, which allows them to work in the power range from the minimum 11,000 to the maximum of 190,000 BTU/hr and provide the maximum energy factor of 0.82, which is lower than condensing models, such as T-H3 models. Modulating gas valve and water flow allows users to use the heater either in need for the maximum power and flow or if the small jobs such as the face or hand washing are needed. The hot water flow rate is limited, and the maximum flow is 8 gallons per minute or 264 gallons per hour for the First Hour Rating. If taking into account that you need 2 GPM of hot water for a shower, it is easy to see that T-K4 model can supply hot water to up to 3-4 fixtures in warmer regions and up to 2-3 in colder (as recommended by the manufacturer). If the remote control TK-RE02 is installed you can set the temperature of the outgoing hot water from 99 F to 167 F (for T-K4U model maximum temperature is 140 F), but if it is not, then you should use a dipswitch setting, which offers only four temperature settings, ranging from 113 F to 140 F. Both indoor and outdoor units have a remote controller included, but a control panel as found on modern, condensing units, such as Takagi T-K3 is not present. Takagi water heaters T-K4 are self-diagnostic, so if there is a problem with the unit and needs your attention, the blinking red LED will display on the computer board, or if the remote is installed, an error code will be shown on the screen. Such a smart diagnostic system increases safety and convenience when troubleshooting. Internal freeze protection system utilizes the electric heaters. The freeze protection activates if the outside temperature drops below 36.5 F. As long as there is an electric supply, the protection will work successfully. Hi-limit switch turns the unit off if the temperature increases over the maximum allowed... it is manually resettable. Pressure relief valve (not supplied). Thermistors to monitor the incoming and outgoing water temperature. Overheat cutoff fuse to protect the heat exchanger from the excessive heat. Flame sensor to check the ignition and presence of the flame. Takagi tankless water heaters T-K4/U-OS are designed for the outdoor installation only. The outdoor mount is ideal for those users who want to eliminate the risk of any possible gas leak or leak of the products of combustion inside the home. T-K4/U-OS models do not use any vent pipes since they are equipped with the power blower that blows the exhaust gases through the flue terminal directly out. This is why these models cannot be installed indoors. Takagi tankless T-K4 outdoor models should not be installed in very cold areas. The outdoor units, when compared to the indoor model is easier and cheaper to install. If you want to cover or hide the water heater and plumbing, install it in the recess box. Takagi T-K4/U-IN are water heaters for indoor use, built with the sealed combustion, power vent and with the two-pipe system for the air intake and flue gas exhaust. It requires the Category III stainless steel flue pipe, 4" in diameter, providing safe removal of the exhaust gases. The maximum length is 50 ft and can be run horizontally through the outdoor wall or vertically through the roof. You can also install the direct vent kit, a concentric termination that eliminates two separate openings for the air intake and exhaust. Direct vent termination uses 4" or 3" pipes on one side and one pipe for one penetration through the wall on the other, with the protective screen. With the purchase of Takagi water heaters from T-K4/U series, the customers can expect a piece of mind for many years, as the manufacturer provides a long warranty of 15 years on the heat exchanger in residential applications, 10 years in commercial, and 5 for other elements. 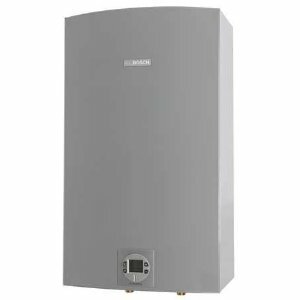 Homeowners buy Takagi water heaters for any application where hot water is need; potable water heating, hydronic heating system, radiant floor system, used with storage tank and in the recirculation system. Takagi tankless heats water on demand, provide unlimited hot water, save space and money and are coming from the trusted company with the great distributor and service network.